The client belongs to the eCommerce industry and wanted to develop future-ready referral marketing services that can be integrated into any e-commerce platform. With this idea, they wanted to create one powerful tool that can convert satisfied customers into micro influencers by sending various deals to their family and friends. They currently have an established user base of 160 e-retailers across 11 countries worldwide using this tool to expand an eCommerce business. The client wanted to offer referral marketing service via two modules to engage customers. One module targets recommendation and another should be focused on engagement and sharing. Customers can send deals to their friends and family through an email, SMS, or Facebook. Customers who shop at a physical store instead webshop should be targeted for referrals using the newsletter, push notifications, banners, and so on. Reliability is must in this digital referral marketing solution as it needs to be integrated into a 3rd party eCommerce site. Frequent changes in chronic core area often resulted in error and reliability issue and it was a challenge for us to do testing effectively. We had to accelerate the whole development to deployment cycle to set quick adaptability of different requirements. The client required HA for reliability and quick creation of any environment in case of failure or breakdown. Clients wanted to improve the feedback loop which required sanity test on production and finding the early detection of the issue on both, resource (CPU, memory, disk etc) and functional. Ticket rollback and switching it off required having quick turnaround during business hour if any issue occurred. 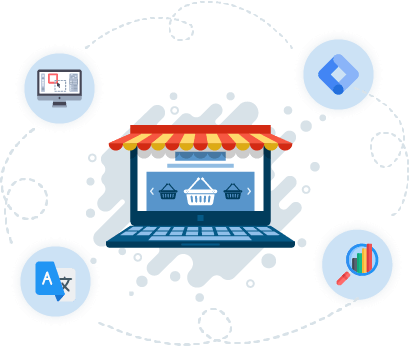 SPEC INDIA precisely met client’s requirement and developed the solution aligning every potential factor of an e-commerce platform using DevOps development approach.